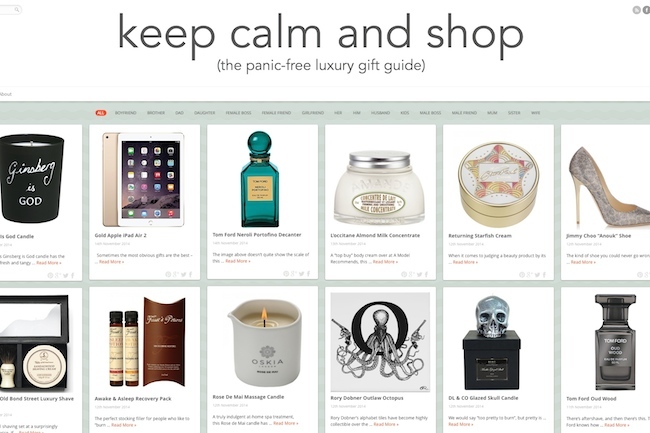 Keep Calm and Shop: It’s Back. Almost. I am helped in all things KCAS by my lovely assistant Rachael, who also happens to have over twenty years’ experience in luxury retail so is something of a shopping expert. So there should be some wonderful things popping up on a regular basis – crap presents will be a thing of the past! Please have a browse, share with friends and loved ones and bookmark the site so that you can check back daily for new ideas!